Former Minnesota Wild owner and co-founder Bob Naegele, Jr. was the recipient of the 2017-18 State of Hockey Legacy Award. Former Minnesota Wild Chairman Robert O. Naegele, Jr. passed away due to complications from cancer today in the Twin Cities, with his family by his side. The Wild will honor Naegele with a moment of silence prior to its next home game on Nov. 13 against the Washington Capitals. In addition, the team wear a patch with the initials BN on their jerseys for the remainder of this season, starting with Thursday’s game at the Los Angeles Kings. We are deeply saddened by the loss of our much-loved ‘Pop.’ While he had many professional and business successes in his life, the pinnacle for him was to play his part in bringing an NHL team back to the State of Hockey. The Minnesota Wild was never about him. Mom and Pop were happily on the beach in Florida enjoying the start of retirement in 1997 when the opportunity arose to bring an NHL franchise back to Minnesota. When Gary Bettman said, “we love your market and your investor group, we never wanted to leave Minnesota, but I need one person I can call when I need to get decisions made,” Pop stepped forward and said, “Ok, I will do it.” From day one, for him, it was all about the fans and the amazing Minnesota hockey heritage. It is a testament for how he lived his life. From the first time that I met Bob, when we were both introduced as new NHL owners that summer of ’97, I was impressed by his passion for the game and his love of his home state. A piece of his heart and soul will remain forever as a part of the Wild. We will honor that. My family and I are so fortunate to have the chance to build on the great foundation he established here. Bob Naegele was a friend and mentor - I will miss him dearly. As a Mayor, I dreamed great dreams, but it was Bob Naegele who had the skill and the faith to turn those dreams into reality. The result was the Minnesota Wild. Bob’s faith is what always guided him. The Bible says faith is confidence in what is hoped for and assurance in what we do not see. Bob was confident the NHL would return to Minnesota and he saw what many others did not see- that it would succeed in St. Paul. His faith never failed him. In the late 1990s Naegele, along with his son Bob Naegele III, were part of an informal association of hockey enthusiasts whose dream was to see the return of NHL hockey to Minnesota. Over time, he stepped up to become the lead investor of the group, and partnered with Saint Paul Mayor Norm Coleman and Governor Arne Carlson to finish the job. Minnesota hockey fans realized that impossible dream: on June 25, 1997, the NHL announced that Saint Paul was awarded an expansion franchise. The Minnesota Wild played its first regular season game in the brand new Xcel Energy Center on Oct. 11, 2000. That night, Naegele honored the sellout crowd in a pre-game ceremony - the No. 1 sweater was retired, the first in team history, in honor of the fans. The Wild owner explained that it was a tribute to the support and passion the fans provided to the organization since the franchise was awarded. “You are the ones who brought the NHL back home, where it belongs,” he proclaimed. The Wild would go on to sell out its first 409 games played in team history. 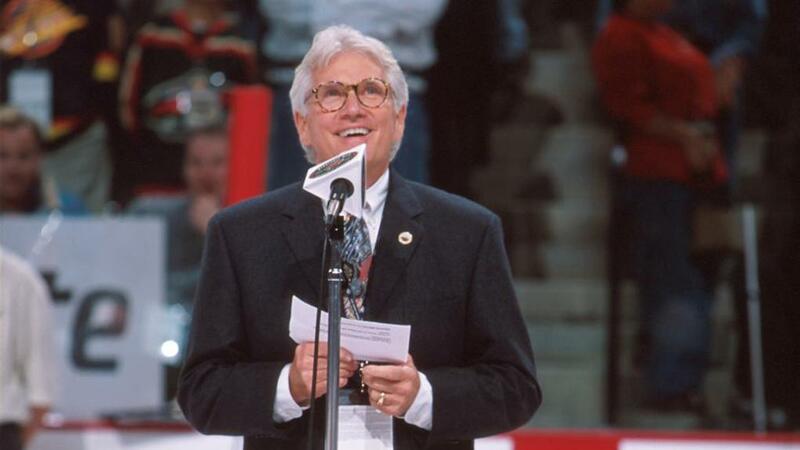 Naegele served as Chairman of Minnesota Sports & Entertainment (MSE) and was the majority owner of the Minnesota Wild until the NHL Board of Governors approved Leipold’s purchase of the team and its related entities on April 10, 2008. In addition to owning the Wild, Naegele was passionately involved in many hockey ventures, including Rollerblade, the National Inline Hockey Association, Mission-Itech, and Athletica/Sport Systems Unlimited.